Concrete cleaning is not necessarily performed on a daily basis. Rather it is a periodic cleaning process for most residential homeowners. 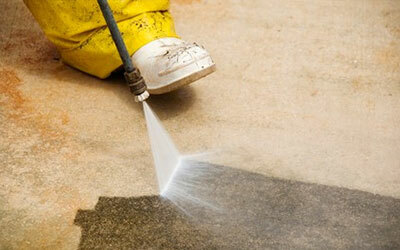 Tasks normally occur at intervals, when concrete floors are well stained, soiled or saturated with grease and oil. 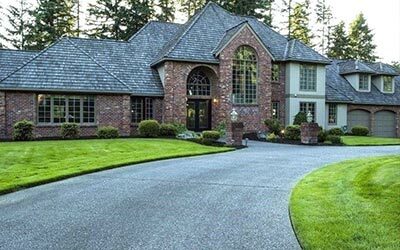 Concrete is porous and this makes the cleaning process difficult, as stains and soils from the grime and oil can be nearly impossible to remove as it sinks in deeply. All this considered, it turns out we have the perfect product for you! 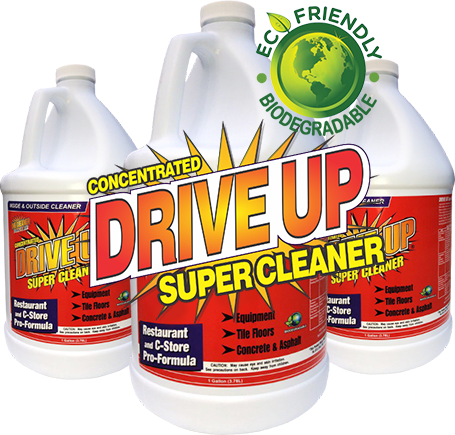 This top of the range Multi-Purpose Concentrated Super Cleaner is proudly produced in North Carolina, and shipped for FREE throughout the USA. 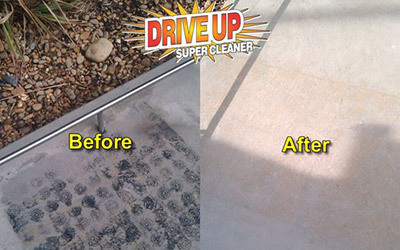 With DRIVE UP there is no excessive amount of effort required to remove stubborn grime and stains. It is so powerful, all you need to do is simply apply the solution to your dirty concrete, leave it to soak for 1 – 3 hours, and then rinse off with water. With particularly tough patches, do a little scrubbing to help it and leave it to soak a little longer. Even better news is that it’s also a 100% GREEN, biodegradable and environmentally friendly cleaning product, which means it won’t harm your lawn, surrounding landscaping and plants. It might be powerful, but that doesn’t mean it isn’t safe. 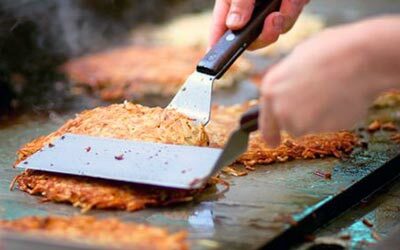 It contains NO harmful chemicals that might cause harm to skin, or poisoning due to accidental ingestion. If you, like most homeowners, perform concrete floor cleaning periodically, then this is definitely a product that can work for you.